Specifications and costs: The course has a cost of $4.000 per participant. A 1-day course covering the theoretical and practical part. Now a day the patients are focused on vaginal area wellness looking for a non-invasive procedure to improve not only the aesthetic appearance but also the sexual life. Promoitalia Academy provides a unique technique to treats the following indication in local anesthesia. 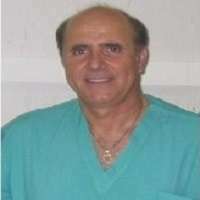 The course will be held by Dr. CIRO ACCARDO, an Italian plastic surgeon with ten years of experience in the aesthetic and reconstructive medical field.